Well, we were correct that the new Facebook product was all about location tools, but the surprising bit was that every location based service decided if you can’t beat them, join them. After a weird start to the press event, which involved shuttling people to a second location, Facebook CEO Mark Zuckerberg took the stage in an un-tucked t-shirt, the typical wardrobe of a multi-billionaire introducing a new product, and proceeded to stumble through the announcement in his patented awkward manner, boring you to tears until all of the partners in this new product were announced. Basically, if a company is involved in location based tools at all, they partnered with Facebook for Places. Due to this it has to be one of the biggest let downs in recent social media history. About the only change to this is there will be a focus on “Stories”, and if you visit someplace one of your friends visited, even years after them, their story would be displayed to you when you check-in at that location. That is about the only new aspect to this service, and the big emphasis on uploading photos, but considering how much Facebook has grown on the back of users uploading images, this isn’t too surprising. While most people are heaping love onto the concept, the ACLU is already out with some privacy concerns over how people can say things about your location as opposed to only you saying it. As for my complaints … only the iPhone gets an app so far? Since it requires GPS there is nothing for the iPod Touch, there is no iPad resolution app, nothing for the Android as of yet and so on. Facebook has more than enough developers to tackle this sort of stuff, but yet it never seems to. There is still no iPad app even after four months on the market, and they couldn’t have something ready for the Android tomorrow? Just seems sloppy to me. There is still no hard evidence that people really want to bother with location apps that much, but here we are with all of them teaming up with Facebook. Now, lets see if anyone really cares. What say you? 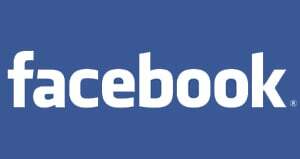 Excited for Facebook Places?